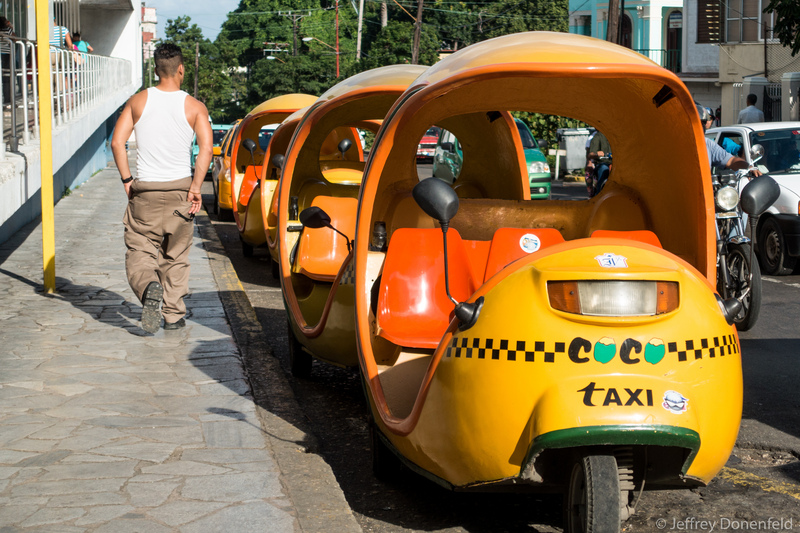 These Coco Taxis are everywhere in Cuba, and people ride them everywhere. Cute. From Wikipedia: Cocotaxi is an auto rickshaw-type taxi vehicle in Cuba. They have two passenger seats, three wheels, an egg-shaped fiberglass body, and a 75cc two-stroke engine. The word coco means coconut, whose shell shape the vehicles mimic. Though noisy, they cost less than regular taxis.